> Usability Testing is nothing but the Checking User-friendliness of the System, Basically, System Navigation, Alignment of Elements, Tool tips and conformation messages are checked in Usability Testing. i) Web page content should be correct without any spelling and grammatical errors. iii) All fonts should be same as per the requirements. iv) All the fields should be properly aligned. v) Home link should be there on every single page. vi) Confirmation message should be displayed for any kind of update and delete operation. > Functional testing verifies that each function of the software application operates in conformance with the requirement specification. vii) Delete functionality’ for any record on a page should ask for a confirmation. viii) Reset button functionality should set default values for all fields. xi) Test the timeout functionality. > Database Testing is a subset of Functional Testing, in which Data Validations, Data Manipulations (add, update and delete), Data Integrity and Data Comparison are verified. i) Check if correct data is getting saved in the database upon successful form submit. ii) Check values for columns which are not accepting null values. iii) Check for data integrity. Data should be stored in single or multiple tables based on the design. iv) Tables should have a primary key column. v) For every database add/update operation log should be added. vi) Required table indexes should be created. vii) Data should be rolled back in case of failed transactions. ix) Verify the encrypted data in the database. 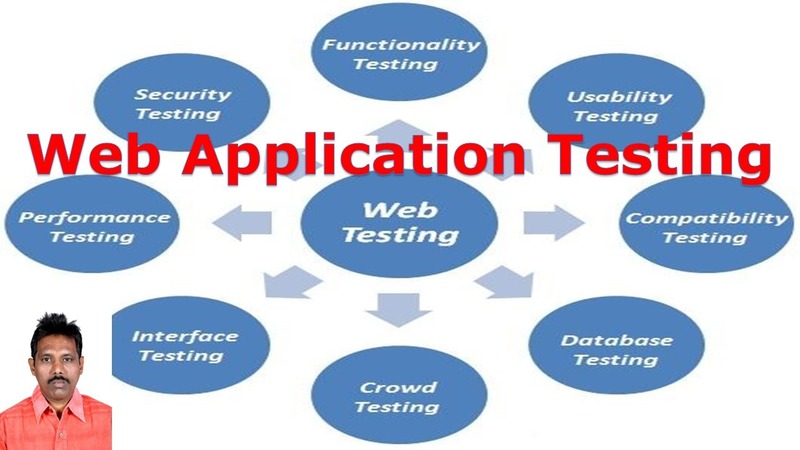 Note: Database Testing is subset of Functional Testing and it can be conducted Manually (Manual Testing) or Automated Testing (using any Functional Test Tool like UFT or Selenium or Silk Performer or RFT). > Performance Testing is conducted to verify a system or component with specified performance requirements. i) Verify the performance, stability and scalability of an application under different load conditions. ii) Verify if the current architecture can support the application at peak user levels. iii) Identify the best performance level. iv) Verify application and infrastructure bottlenecks. Tags: Database Test ScenariosFunctional Test scenariosPerformance Test ScenariosUsability Test ScenariosWeb Testing GuidelinesWeb Testing Tutorial for BeginnersWen Testing Common ScenariosWhat is Database Testing?What is Functional Testing?What is Performance Testing?What is Usability Testing?